The tight arrangements and hot solos of swing made it popular as dance music, but as the following selections show, in the right hands it could move hearts as compellingly as it could feet. On this fine outing, Lady Day gives another outstanding performance, convincingly delivering some very clever lyrics: “Without your love, I’m like a plane without wings / A violin with no strings, without your love.” Lester Young does a marvelous job throughout, his feather-light tenor sax shadowing Holiday with playful subtlety at every turn. After the first verse, James Sherman takes a pleasant, relaxed solo on piano, and then Buck Clayton delivers a knock-out punch on trumpet with a forceful solo that soon softens and glides gracefully back into Holiday’s vocals and Young’s obbligato. Bunny Berigan was a sideman on many of the best recordings of the swing era, but he saved his best performance for this record under his own name. In my mind, “I Can’t Get Started” is the most underappreciated recording of the swing era. It’s seen its fair share of accolades from jazz lovers, to be sure, but the song is so good that everyone should know it and be able to identify it as readily as “Take the ‘A’ Train,” for example. It starts out with a trumpet solo of sublime beauty by Berigan that easily rivals the work of his idol, Louis Armstrong. From his rich, shimmering tone to his intuitive phrasing, that brief solo goes straight to the heart and tells as much of a story as the lyrics that follow. Those lyrics, by Ira Gershwin, are pretty incredible as well: “I’ve flown around the world in a plane / I’ve settled revolutions in Spain / And the North Pole I have charted / Still I can't get started with you.” Berigan does a fine job singing them, but it is his return to trumpet that really seals this song as a classic. The narrator may not have been able to seduce the object of his affection, but I challenge anyone to resist the musical seduction of Berigan’s incredible trumpet. Unfortunately, Berigan’s genius was too short lived. His incredible talent began suffering due to his battle with alcoholism, and in 1942 at the age of only 33, he lost the battle and died from cirrhosis of the liver. The melody for “Caravan,” one of Duke Ellington’s most enduring standards, started off as an improvisation by trombonist Juan Tizol. Ellington would have a big hit in 1937 with his second recording of the song, a full-orchestra arrangement (Master 131 ). To my ears, though, the song’s first recording at a small group session in December 1936, has yet to be surpassed. Recording under the name of Ellington’s clarinetist, Barney Bigard, the band plays with incredible unity, stating and repeating the exotic theme vividly throughout. The solos are crisp and exciting. Tizol goes first, giving a sultry performance that builds anticipation slowly then speeds things up even as it retains a cautious air of danger. Cootie Williams’ “jungle” style muted trumpet then interrupts with a growl, followed by Harry Carney’s fluid baritone sax and Bigard’s wailing clarinet. Bigard’s solo is the song’s emotional high-point, after which it recedes back into the main theme and quickly fades back into the night from which it came. This lovely recording, from the movie Waikiki Wedding, opens with a duet between Hawaiian music legends Lani McIntyre and George Kainapau. McIntyre does not have the strongest voice, but there is a certain charm in his delicate delivery, and Kainapau’s falsetto backing vocals are dreamily delightful. After the first verse, Crosby takes over the lead, and his crooning baritone lifts the song to a new level of enchantment, with McIntyre and Kainapau continuing to provide backing vocals. Compared to the faster-paced swing music being made at the time, it might be easy to label this record as saccharine fluff, a Hollywood ode to the Hawaiian music craze. It should not be so quickly dismissed, though. It provided Crosby with a #1 hit for good reason: it is one of the best, and surprisingly most authentic, Hawaiian-themed hits of the era. 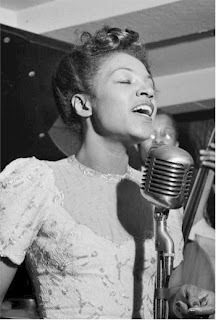 Maxine Sullivan was a jazz singer with a particularly soft, smooth delivery that was nevertheless as swinging as any of her contemporaries. “Loch Lomond,” a swinging version of a traditional Scottish folk song recorded with Claude Thornhill and his band, was her biggest hit. It was so big, in fact, that it defined her for the rest of her career and she found herself recording mostly folk material from that point on. While that suited her style just fine, her magnificent renditions of jazz standards show that she was capable of much more. Still, “Loch Lomond” remains her finest moment. Her voice seems to shimmer on this record, carrying the melody with perfect clarity, while adding a delicate extra dimension that makes the song truly swing. Listen to the way she modulates her voice, adding quick vibrato touches and controlling her timbre and timing with masterful precision as she sweetly draws out each word. The band behind her plays in a similar calm, slow-swinging style, but even without the relaxed trumpet and saxophone solos, this record would unmistakably be called jazz based purely on Sullivan’s remarkable vocal performance. The contrast of the two sets of superimposed vocals, simultaneously proclaiming love for Marie in their own way, is irresistible. 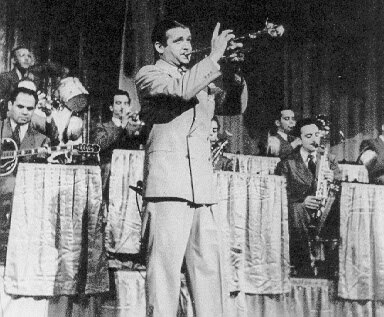 As the lyrics end (with the band shouting “Mama!”), Bunny Berigan enters with a sizzling trumpet solo that ups the ante even more. His first note slides into a squeak that is like a jolt of electricity, and yet for all its energy his trumpet never loses its buttery tone. The rest of the solos are solid if not earth-shattering, but by then the record has already cemented its place as one of the finest pop songs of the swing era. The other side of the single is nearly as good. “Song of India” is a jazz adaptation of an aria from the opera Sadko by Nikolai Rimsky-Korsakov. It is a remarkable arrangement that builds slowly around a soft theme first stated by Dorsey on muted trombone. The tension between that quiet theme and the energy of the full orchestra is ever-present, and the latter slowly builds in intensity until the final minute when Berigan bursts through with a trumpet solo that is the record’s finest moment. Although brief, it is another stunning display from Berigan, capturing both the energy and the spirit of the song while simultaneously breaking free from it. The full-band then returns for an amazing four-second transition that takes the song from its energetic peak back to the original, soft theme.